Live out your fantasy of island escape and hop aboard a catamaran to Cayo Icacos, a deserted island surrounded by the bright blue Caribbean. On this day cruise from Fajardo, enjoy views of El Yunque mountains and then dig your toes into the beaches of Icacos, part of a nature preserve, and take a leisurely swim and snorkel nearby. A lunch buffet and drinks on board round out this day in paradise. 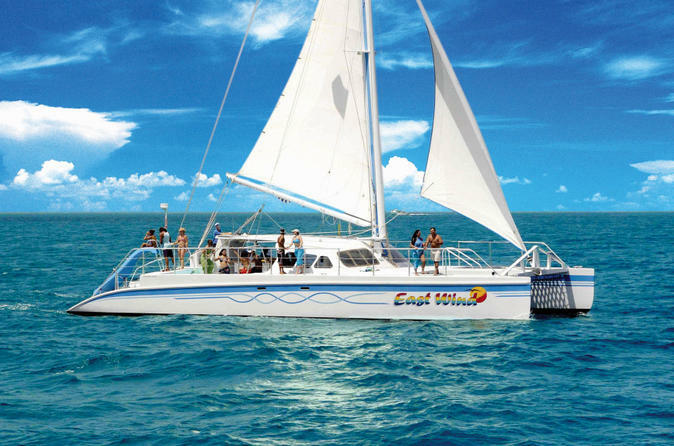 The catamaran takes you back to civilization when you’re ready. For added convenience, upgrade and enjoy hotel transport from San Juan. 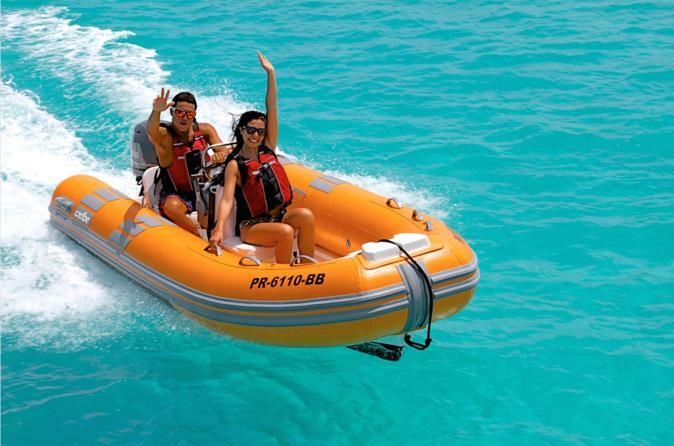 Experience the snorkeling adventure of a lifetime as you pilot your own 13-foot inflatable mini speedboat along the protected white sand cays of Puerto Rico's eastern coast! With a certified guide leading the way, follow the mini boat convoy across the beautiful crystal clear waters of Fajardo stopping at a selection of some of the most beautiful islands in the Puerto Rican Archipelago. 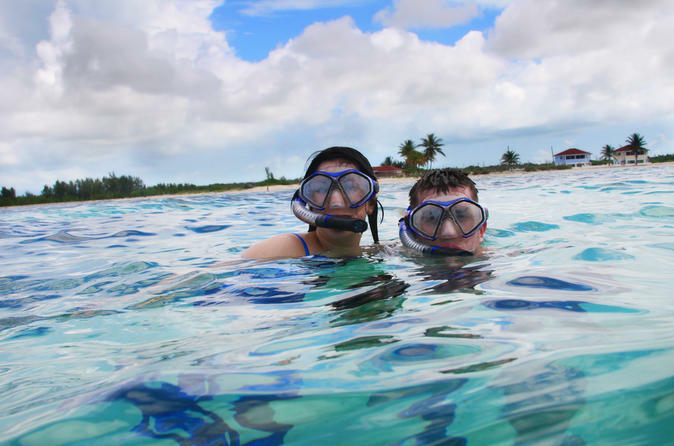 Discover the wonders of "La Cordillera" Cays Nature Reserve, and enjoy a guided snorkeling experience you will never forget! 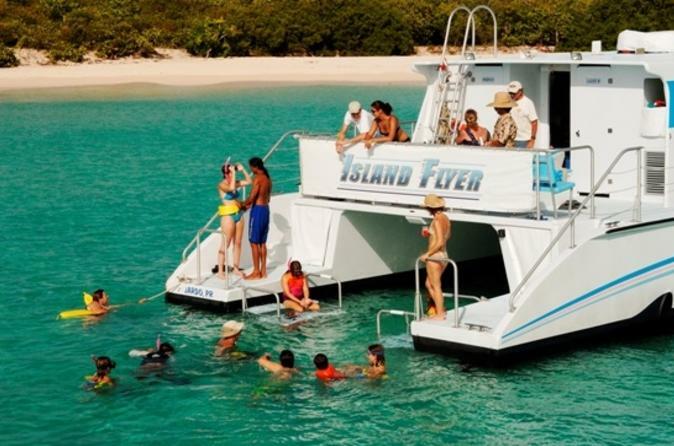 Enjoy an all-inclusive day in Puerto Rico snorkeling off deserted islands from a sailing catamaran. Indulge in the buffet-style lunch, sodas and water all day and utilize the snorkeling equipment and instruction. Celebrate during the rum-infused dance party on the return sail home! The catamaran has full shade and restrooms. May 2016 Update- At present time the bio-luminescence is poor due to changes in the weather patterns. This tour is being offered as a Night Kayaking Eco Adventure, focused on the ecology and not on the bioluminescence until further notice. Full Moon Notification:Please check moon calendar or contact us for more information. 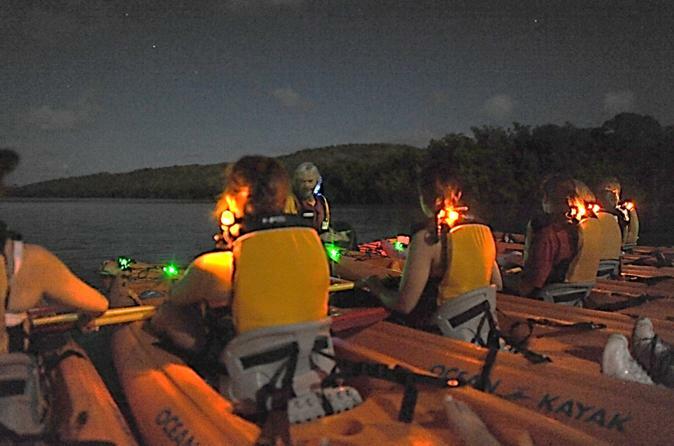 The Full Moon Kayak Eco Adventure, is an alternate tour for the Bioluminescent Bay Kayak Tour on full moon nights as the light reflection on the surface of the water makes viewing the organism difficult. This activity is sold under “Responsible Marketing” and is available on half moon through third day full. Enjoy the opportunity to participate in this bio-luminescent bay kayak adventure and see the glowing waters of Laguna Grande, the only bio-luminescent lagoon in the world. Enjoy an all-inclusive day in Puerto Rico, snorkeling off deserted islands. Indulge in the buffet-style lunch, sodas and water all day and utilize the snorkeling equipment and instruction. Celebrate during the rum-infused dance party on the return sail home! The Innovation motor boat has full shade and restroom on board. Without a doubt, the Aquafari Culebra is one of our most impressive excursions with the clearest waters, pristine beaches and a variety of sea life that will amaze you! 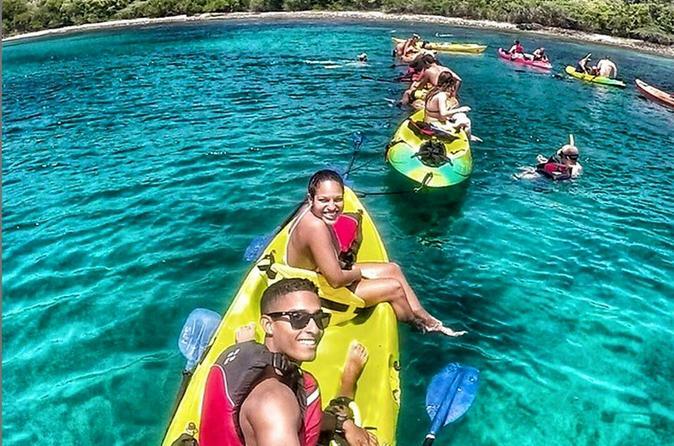 Paddle your way along Puerto Rico’s kayaking and snorkeling mecca: the world famous waters and white sand coastlines of Culebra Island. 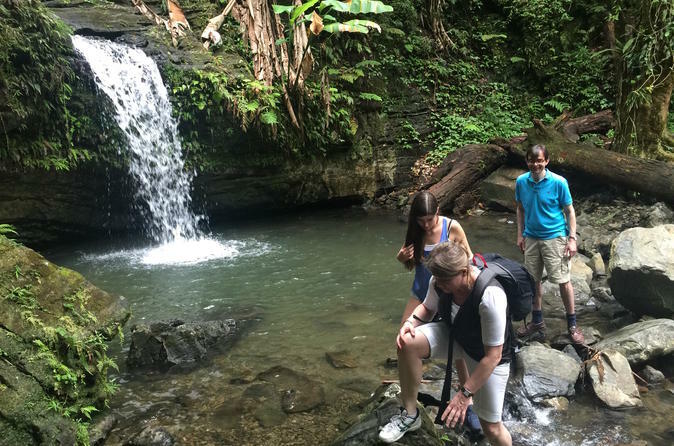 Take time to escape to heaven on earth and let the natural beauty of El Yunque Rainforest captivate you with its lush green vegetation, its amazing flora and fauna, its breathtaking scenic views, its gorgeous waterfalls, and its incredible feeling of serenity while walking with your knowledgeable certified tour guide. You will be immersed in a wild secluded paradise in the middle of the rainforest as you are mesmerized by Mother Nature’s amazing beauty at its best. At the same time you will be fully infused with the vibrating energy of El Yunques rivers and fresh clean air, just like the indigenous Taino Indians did centuries ago.